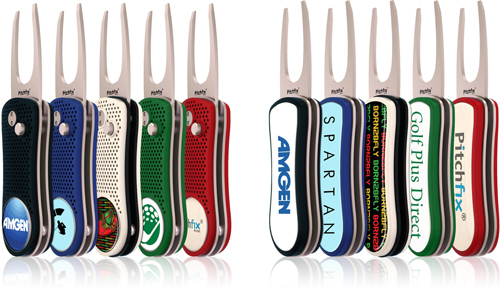 The Pitchfix XL 2.0 Divot Tool features an attractive design, and is light weight. Includes a removable full color domed ball marker, and a full color panel on the second side. 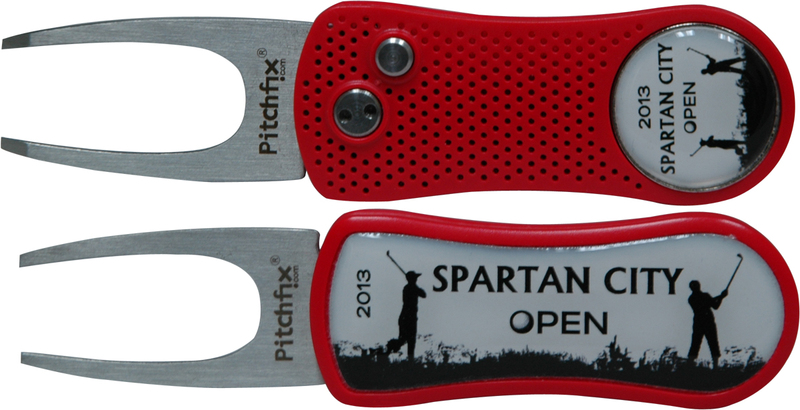 Prints on both sides of the XL divot tool.